I'm about to apologize for something I haven't done and may not do at all. I'm about to apologize for not caring about Jews in harm's way. How do I know this? after almost four years you just know what to expect, and I expect to be slammed for not caring about Jews. The issue I have is why they pick and choose their causes, as I guess we all do, but I'm not here to criticize myself... Currently - and for some years now - the Hatzoloh cause is that of the few Teimener Yidden remaining in that forsaken country, for some strange reason. It's safe to say that despite Satmar's efforts to help these Yidden they also hurt them by scaring them from going to Israel. So, the poor souls are left there to their own devices, at the mercy of the local Muslims, and await the occasional Satmarer Chossid who's allowed to visit them and bring them whatever he's allowed to bring in. Don't get me wrong; I don't intend on knocking the Hatzoloh work that Satmar does. I live in Monsey and I see many of those families, although I will say that they seem to be having a hard time acclamating to the community, peyos and Hungarian hats not withstanding. I know all about Satmar and the Iranians. Rav Tov/Tiv, yeah. But I doubt that anybody in Satmar gets all warm and fuzzy when they speak of Iranian Jews. Mention Yemenites, however, and he'll get all excited! Firstly about the past, and also about the present. He'll get excited that the Tziyonim cut their peyos off, and how the Yemenites were the holiest Jews in the world. Why? because they sported long peyos! Then he'll be proud of the fact that many Teymener Mishpoches live in Satmar enclaves, wear traditional Satmar garb, and speak the Satmar dialect of Yiddish. No small feat, there's no doubt about that. So I wonder; I wonder if these Jews in trouble in a far away land were not as aesthetically similar to the Satmars would anybody care? would the Satmorim care? Would they be able to pull together such a list of Rabbonim from across the spectrum? Most of them looked dazed and unsure of why they're there. It's not they're gonna rile up their chassidim and congregants and demand better protection for the Teimonim, "so why I am here," Rabbi X is thinking to himself. Is it all about the peyos?! Here's what I wrote in 5766 where Ravitz tells of his 4 meetings with the Lubavitcher Rebbe. 1) The Rebbe tells him to grow a beard, he says the beard does nothing for him, it doesn't add nor does it diminish his Yiras Shomayim. 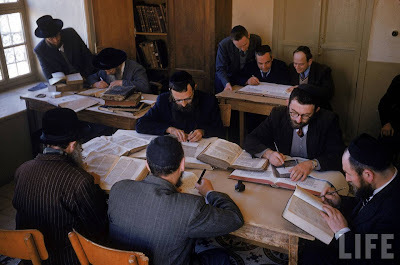 2) The Rebbe asks him about learning Chassidus, he says "in Chevroner Yeshivah we learn Mussar". 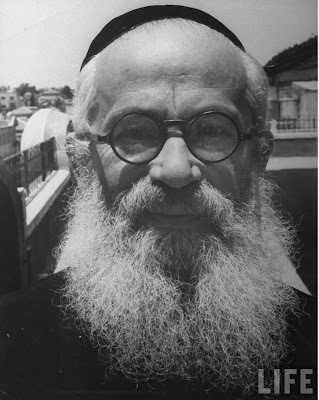 3) Years later when he grew a beard he told the Rebbe: "it's not because you asked me to, but rather because in the Army they made us either shave every day or let it grow, so I let mine grow! What I find fascinating is that a man like Ravitz later became one of Degel haTorah's major attack dogs, and Lubavitch wasn't spared either to put it mildly, so what happened to him? Did he sell his soul? I guess so. ע"כ what we wrote 2+ years ago. Now we learn that Reb Avrohom passed away yesterday at the age of 74/75. 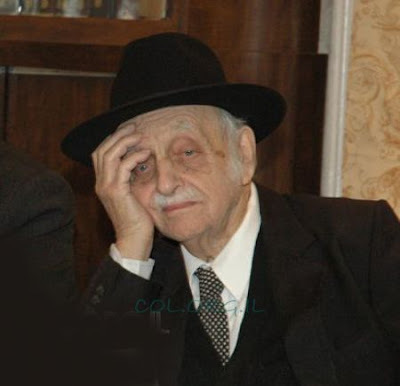 He was a "doer" of many great things, including bringing many, many Jews closer to Yiddishkeit while working at Yad LeAchim and at Or Someach in Israel. According to Ravitz even his joining of LeCHi in 1948 as a youngster of 13/14 was also due to the British injustices that were happening in Palestine at the time, including the hanging of Lechi operatives and the closed door policy that they maintained despite the recent ending of World War II. In short he was out there on the front lines, helping Jews. Yet, as a Lubavitcher it's tough to think of him as some great Tzaddik, being that he was a member of the ill-fated Degel HaTorah for 20 years. I know he's not an attack dog like Lorencz is, but he still managed to upset lots of people. Yes, we know Lorencz wasn't around at the time of the split, but he managed to make his mark with his narishe, hateful, and outright false memoirs, and that accusation comes from Agudists, not Lubavitchers. Reb Tzig: I have a picture that I got from a friend visiting Arizona (for gezunt, of course) of Rabbi Shem Tov, the Chabad shliach here in Tucson, Arizona, posing with the owner of the pictured store on Erev Shabbos, Likutei Sichos in hand. The story - as I understood it from my friend - goes something like this: There used to be a butcher/grocer here under the "hashgacha" of a conservative Rabbi. The store recently changed hands, and now the new owner, a Sefardi Jew who my friend met last Friday in the shop, told the old owner that he didn't want to buy the place unless he got an orthodox hechsher. The man is traditional, but he has a great amount of respect for Rabbonim, we can all learn from him. So he got the 2 Rabbis here, Rabbi Becker who is a chafetz chaim Queens talmid, a more modern Rabbi, to come together with Rabbi Yossi Shemtov of Chabad of Tucson to make it kosher with a Mashgiach t'midi. On Friday afternoon the mashgiach can't be there so Rabbi ShemTov בכבודו ובעצמו was sitting there learning Likutei sichos, and at 3 o'clock Rabbi Becker was to supposed to come. My friend took a picture of RYST with the owner. Shemtov told him he can't use the picture without also taking a picture of Becker, since he also does Hashgachah there and it wouldn't be fair to omit him from the story. Maybe tomorrow he will get one of Becker, and then maybe I can send it to you. Tzig, if only this is what this shaliach did he will be in the highest gan eden, since mesiras nefesh on Friday is something extraordinary in my view. I consider myself a chasidishe yid and a talmid chochom to boot, but I feel very little near Shemtov and Becker. What did I ever do for yiddishkiet? The store is Faig's in Tucson. A little background on Tucson: For a while Becker and Shemtov didn't work together but now ShemTov is very protective of Becker's Kavod. It's a shtick kedusha, this from a Chabad critic. Becker was to take over on Friday when the mashgiach is off, they both shared the responsibility on friday afternoon in the winter just that mostly non frum ppl whould have kosher meat there is a mashgiach but he can't be there on Friday late so the Rabbis themselves com, which is the real thing in my book. So my friend found Rabbi Shemtov learning Likutei Sichois. I have an audio interview with him he said he only agreed to buy it if the 2 orthodox Rabbis give a hechsher, but it takes a serious commitment from both Rabbonim to execute this. 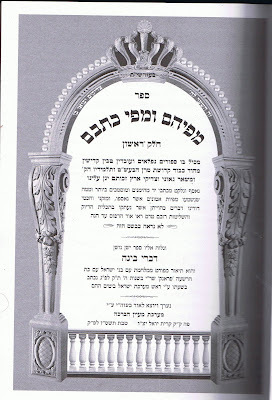 Do you think the holy satmar rebbe would sit in story Friday afternoon just that a landsman should have busor kusher. Hey Rebbetzin, where are my strokehs? it's late! listen, Tzig, it's connected to the Mumbai thing, just a bit different. Every year 1000s of people come to Tucson for the gem show, among them dozens if not hundreds of frum Jews mostly Sefardim. For them to have this service is the same thing that the kedoshim did in Mumbai, זיין א חבר און א שיתוף פאר די שכינה הק' דאס אללעס. Here you can see Becker's shul. I would say he is a cross between Mod Orthodox and Litvish. Rabbi Becker claims that Reb Dovid Feinstein is his Rosh Yeshivah and he asks him for advice, but the shul is 100% Modern Orthodox. אמר הציג: I guess I waited long enough for Becker's picture. I'm posting this like it is. די זמן וואס א איד הייבט אן צו טון שידוכים מיט זיינע קינדער איז זייער סענסעטיוו, דער מענטש האט געהאלטן ביז די 39 יאר, אז מענטשן קוקן אים אן אלץ מכובד מדריגה נומ. 55, אבער ווי נאר ער זעהט ביי שידוכים ווער ס'וויל אים יא און ווער ס'וויל אים נישט, זעהט ער קלאר וויאזוי מענטשן קוקן אים אן, און ווערט געוואר אז ער איז גארנישט במדריגה מכובד נומ. 55 נאר קוים נומ. 40, ווערט ער אטאמאטיש צובראכן און סענסעטיוו, דעריבער וועט א מענטש טון אלעס אויף די וועלט אז די ערשטע פאר קינדער זאל ער טון גוטע שידוכים און אזוי באקומען א בילד פאר א איש מכובד, וואס דאס מיינט מכובד אויף ווייטער אגאנץ לעבן, און ווען א מענטש איז סענסעטיוו טוט ער פעולות וואס איז ארויס פון א גראדן ליין..., דערפאר זעהט מען מענטשן אין ביהמ"ד טוען פארשידענע זאכן וואס איז נישט צום פארשטיין, אבער ווען מ'זאל צולייגן אביסל דעת אז יענער איז אין די שידוכים סטעידש וועט מען אלעס פארשטיין. דאס מוז מען וויסן אז ווען א איד דארף א שידוך טון, איז ער נישט אנדערשט פון א עני העומד בפתח, מיט א אויסגעשטרעקטע האנט וואס בעט זיך ברחמים גיב מיר א נתינה איך בין א גרויסע נצרך, אקארט די זעלבע איז א איד וואס דארף טון א שידוך, ער שטייט מיט אויסגעשטערקטע הענט און רופט אויס טייערע אידן רחמנים בני רחמנים טוט'ס מיר א טובה האט'ס רחמנות אויף מיר און נעם מיין קינד פאר א שידוך, נישט קיין חילוק צו ער האט געלט, צו זיינע קינדער זענען געלונגען, צו זיינע קינדער זענען שיין און געראטן און פיקט אַפּ, ער מוז נאך אלץ אנקומען צו יענע'ס טובה, אז יענער זאל אים געבן דעם "יא" איך וויל נעמען דיין קינד פאר א איידעם / שנור, און אויב מוז מען אנקומען צו יענע'מס טובה ביסטו א נצרך....און אז די ביסט א נצרך, איז יושר דו זאלסט זיך אויפירן ווי א נצרך.... (ס'טוט וויי?.... וואשע זאל מען טון צער גידול בנים....)ביסט א נצרך אז דער שדכן זאל דיר אנטראגן א שידוך, ביסט א נצרך אז די אנדערע צד זאל געבן זייער הסכמה,ביסט א נצרך אז מענטשן זאלן געבן גוטע אינפארמעשאן, און אויב ביסטו א נצרך אז דער שדכן זאל דיר אנטראגן א שידוך דארפסטו האבן דרך ארץ פארן שדכן, פונקט ווי דער עני האט דרך ארץ פארן עושר וואס שרייבט טשעק'ס פאר צדקה...., ס'איז קיין שום קונץ צו שרייען אויף א שדכן, נישט אזוי ארבעט ער בעסער פאר דיר. ווידער איז דא א שריט וואס עלטערן טוען געאיילט, אז מ'כאפט פון וואס ס'איז דא יעצט אויפן טיש, מ'ווערט נערוועז אז דער בחור וועט בלייבן פארזעסן, געט מען א מאך א סך הכל ווער איז יעצט דא אויפן טיש, איני מיני אַה בַּא בָּא און מ'מאכט דעם ערשטן שידוך אין איילעניש אן גוט אדורך טראכט מיט שכל צו איז דאס א שידוך וואס קען אנהאלטן ביז די 120 יאר, וואס די קאנסעקווענסן זענען זייער נישט גוט, יעצט זאל אני הקטן שאץ מאץ גיין פאריכטן די וועלט, ניין, אבער דאס זענען די טריקענע פאקטן וואס דער מצב איז. ס'איז זייער אינטרעסאנט די ירידת הדורות (מ'רעדט נישטא קיין שובבים תורות פון ירידת הדורות אין פרצות און רוחניות מ'רעדט פשוט פון די ירידה אין עניני שידוכים) לאמיר נעמען אזא יוד ווי ר' שמחה (יעדער קען אים דא?, ר' שמחה פון בתוככי קרעטשמע) "למשל" לאמיר אנעמען אז אונזער ר' שמחה איז שוין 63 יאר זיינע קינדער טוען שוין שידוכים מיט זיינע קינדער (ר' שמחה!!! ס'איז נאר א משל....) יעצט לאמיר זעהן וויאזוי איז ער אליין א חתן געווארן, וויאזוי איז צוגעגאנגען די שידוכים פון זיינע קינדער, און וויאזוי טוען זיינע קינדער שידוכים. אין די כ' יארן האבן די מלחמה אידן געטון שידוכים, ר' יעקב פון מישקאלץ מיט ר' בערל פון בערעגסאז האבן געטון א שידוך, דער ר' יעקב האט נישט געוויסט די היסטאריע פון ר' בערל ווארום ער קומען פון מישאלץ און ער קומט פון בערעגסאז, און ביידע צדדים האבן נישט געהאט קיין צוריקהאלט פון טון דעם שידוך, און דער חתונה איז פארגעקומען אין גרענד פערעדייס (אנע זיידעס נעבאך) די מחותנים זענען געוועהן מלא שמחה נאך אזא מלחמה צו זעהן א נייע דור וכו' וכו', (דא לאז איך שוין די בדחנים רעדן פון די הרגישים....) בערך אזוי האט ר' שמחה זעלבסט חתונה געהאט. דער דור ריקט זיך, ר' שמחה איז ב"ה זוכה צו א שיינע משפחה, זיינע אייגענע קינדער וואקסן אונטער, מ'שטייט שוין אין שידוכים, מ'לאזט זיך ארויס אויפן מארק, אבער דא ווערט שוין די מעשה אביסל שווערער, מ'טראגט אים אן שידוכים פון מענטשן בערך פון זיין עלטער, די וואס זענען די ערשטע דורות געבוירן נאך די מלחמה, אט דעם נייעם ציבור קען שוין ר' שמחה פון יונגווייז, ער ווייסט פונקטליך דער האט געלערנט אין בית התלמוד און דער האט געלערנט אין צעהלים, דער האט געהאט שווערע צייטן אלץ יונגערמאן, דער האט געהאט א האלד אפ אין געשעפט, ביקצור מ'קען זיך פון יונגערהייט, אנדערשט ווי זיין אייגענע שווער און טאטע וואס האבן זיך בלויז באקענט דאהי נאך די מלחמה, נישט וויסנדיג זייער בעקראונד, און אז מ'קען זיך גוט ווערט שוין אביסל שווערע'ר דעם רצון זיך משדך צו זיין מיט יענעם ווייל מ'ווייסט דאך אלע חסרונות...., אבער דאך מאכט מען די ריכטיגע החלטות און מ'טוט שידוכים מיט די קינדער, אבער לעומת זה זענען די זיידעס אינגאנצן נישט קיין מדובר, עלטערע אידן פון מישקאלץ און פון בערגסאז זענען בכלל נישט קיין רעדע אדער עיכובים ביים שידוך, און אזוי לויפן די יארן מ'ווערט פארוואנדלט פון א טאטע צו א זיידע, און א גוטע שעה. אויב דאס איז נישט גענוג איז געשעהן אין אונזערע צייטן עטליכע טיילונגען אינערהאלב די חסידות'ער, לאמיר זיין אויפריכטיג אין סיי וועלכע חסידות וואס האט זיך אפגעטיילט וויל נישט איין האלב זיך משדך זיין מיטן צווייטן האלב, לאמיר געבן א משל (רבותי נעמט'ס עס נישט פערסענאל ס'איז נאר א משל...) דער נאנאש'ער חסידות באשטייט פון 4 טויזנט מעמבער'ס, ס'איז נעבאך געשעהן א טיילונג צווישן צוויי קינדער, איינער נעמט 60 פראצענט און איינער נעמט 40 פראצענט, דער זון וואס האט 60 פראצענט האט גענומען דעם נאמען נאנאש (ער האט דאך רוב) דער אנדערע זון וואס האט נאר 40 פראצענט, ער האט צוגעגעבן א נאמען און הייסט הודו-נאנאש, סך הכל האט דער נאנשער זון איבער 2 טויזנט מעמבער'ס, און דער הודו-נאנאשער זון האט אביסל ווייניגער ווי 2 טויזנט מעמבער'ס. פארשטייט יעדער אז נאך אזא טיילונג ווערט א שטיקל קריזיס אין די שידוכים פעלד, ווייל אמאל זענען געוועהן 4 טויזנט משפחות וואס דאס האט געמיינט א גוטע פאר הונדערט משפחות פון יעדן קאטעגאריע, אפאר הונדערט פון די גאר פרומע, אפאר הונדערט פון די מעסיגע, אפאר הונדערט פון די בעת בתי'שע או מער בעסערע, אבער נאכן טיילונג און פון אפאר הונדערט פון יעדן קאטעגאריע געווארן צוטיילט אויף העלפט, ווערט דאך די אויסוואל קלענער, קומט נאך צו א פראבלעם אז אויב דער ציבור ווערט קלענער קען מען זיך נאך בעסער ווי פריער פארן טיילונג מ'איז דאך מער נאנט איינער צום צווייטן, וויל נאכן ריס אינעם חסידות איז די גאנצע קהילה מער פאראייניגט, און אז מ'איז צו נאנט וויל מען זיך נישט משדך זיין ווייל מ'קען זיך צו גוט, און מ'קען אלע חסרונות. So we have the bashing of the niftar, z'l, by some snag shnook for not "distancing himself," and for basically being weak, having no choice but to capitulate to Lubavitch. Very nice. Well done, snag. Maybe Rebbetzin Hollander asked Butman to be the MC? have you ever considered that? Would you like it more if Paysach Krohn did the honors? Then we have the winner, a guy who goes off on a tangent and stam has a good time: "What you write is no chiddush. Lubavitch believe that every single Jew should and will become a Lubavitcher. All their preaching that the Rebbe told people who became close to keep levush and minhogei kodesh is just twisting the truth to make them less scarier to others.The fact of the matter is that very few gevoreneh Lubavitchers keep their levush and give it over to their children. One famous case is Twersky the Rachmastrivker's son who's father had a fit when he became Lubavitch and the Rebbe promised they would keep the levush. The sad thing is yidden were moiser nefesh for yiddishe levush to now give it up for the modern dress style of the Lubavitchers, without peyos and with long hair. Feh." Tell me, my good man, have you as cousin or brother who left the "fold" and you're having a hard time getting over it?! I got to know Rav Hollander the last 10 years of his life , although I had seen him many years earlier. 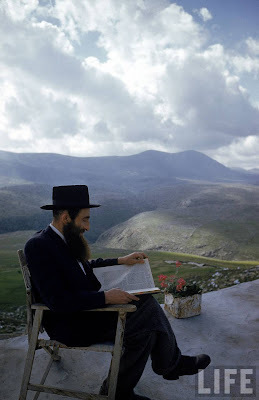 He was the pioneer in Soviet Jewry work. He established contacts there and visited Russia many times. He also lectured and wrote about his trips, thus bringing the issue of Soviet Jewry to the attention of American Jewry. 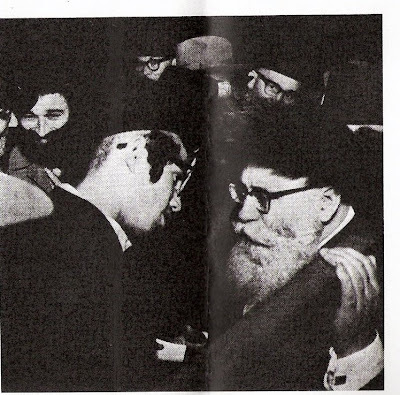 He was a friend of the rabbinic community in Russia and was instrumental in bringing Rav Levin from Moscow in 1967, and Rav Levin spent a Shabbos in the Bronx. He was a Rav in a huge shul in the BRONX, Mt. Eden Jewish Center where hundreds heard his sermons. The grand concourse was the heart of Jewish Bronx. Later he moved to Brighton Beach and dealt with a dwindling congregation. He was the brother in law of the late R. Moshe Sherer, both married sisters the daughters of Rav Fortman of Far Rockaway. 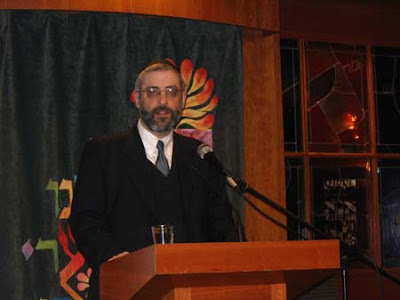 His shvogger's success, affected Rabbi Hollander's personality in different ways. Rabbi Hollander was never involved in the Agudah, but served as president of the Poalei Aguda for many years. R. Hollander was a Modern Orthodox Rabbi, he was not yeshivish or chasidic. He graduated YC and RIETS, and served as President of the RCA. He was in favor of secular studies and read daily various newspapers and journals. He differed with many MO Rabbis, especially men like Rabbonim Rackman and Lookstein over recognition of non-Orthodox ministers as Rabbis. In this he became a 1 issue candidate. He opposed the NY Board of Rabbis and the Synagogue Council, and after years of battle he emerged the victor! When I wrote an article in the Algemeiner about Rav Aron Kotler he blasted me the next week in print for not mentioning Reb Aron's anti Reform policies. Of course that was true, but R. Kotler's real achievements were the Beth Medrash Govoha and the creation of a rabbinic elite in the US, as well as his activities for the Agudah, and Chinuch Atzmai. But I could not get Rabbi H to understand that. But we became friends, and I assisted him in finding sources and books, and he was very grateful and he believed in hakoras hatov. He was an Ish Emes, although he wrote for the Algemeiner, he attacked Lubavitch on occasions when young shluchim abandoned the hard line Rabbi Hollander erected against non Orthodox Rabbis. Girsa d'yonkesa. He was of Hungarian extraction, and austrit and kavod harrabanus was his hallmark, the apple does not fall far from the tree. 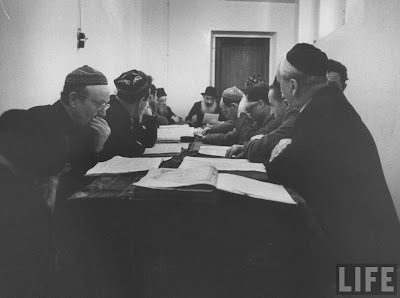 A note: I heard that it was not the Rebbe who urged them to grow beards, but private Jews who had been in Russia told them that in Russia no frum Jew would take them seriously thus the whole group grew a chasimas zaken. Much more to write. To our sorrow he had no children so those who feel close to him should do something to memorialize his personality. "The Rebbe Rashab once called HaRav HaChossid R' Yisroel HaLevi Levin Shu"b, [also] known by the name R' Yisroel Nevler Z''L, and HaRAv HaChossid R' Eliyahu Shmuel HaKohain Z"L Kahanov the great grandfather of the Chossen. When they arrived once to visit the Rebbe he requested of them to go the Beis HaShechita and spend the day there monitoring the goings on, and to then return and report what they saw. And so they did. 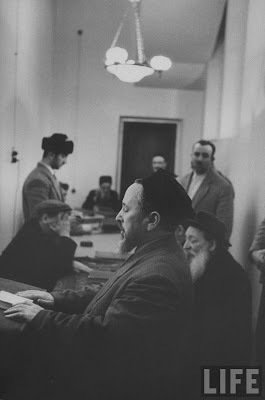 After debriefing, the Rebbe asked them what is their daily salary, to which they responded whatever they responded. The Rebbe the took four 5 ruble notes and attempted to give it to them (according to RES this was a sufficient sum). They, the young men, where somewhat abashed to approach and take the money, so the Rebbe told to them "I deprived you of a day's work, and we [therefore] need to compensate this loss. Nevertheless, they were ashamed to take the money. Then the Rebbe said: " אז מיר געבען דארף מען נעמען" (a well known adage of the Rebbe that one need to accept and it is improper to decline ch'v). Once, on a Yechidus of RES, he brought this [the 5 ruble note] to show the Rebbe [#7]. The Rebbe took it in his holy hand and seem amused by the note, [he then] returned it to RES!" Not like it has any direct relevance, but i just thought I'd share. 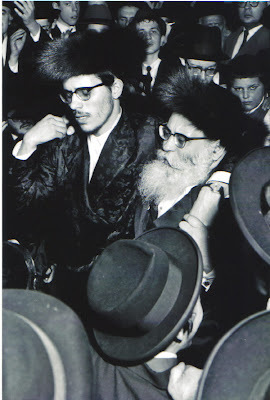 ----- by Rabbis Schechter and Feldman, zollen zein gezunt un shtark. This video was filmed at an event at Bnei Yeshurun in Teaneck on March 5th, 2006. At the event, attendees were given the opportunity to ask questions of Rabbonim including R' Aaron Feldman, Rosh Yeshiva of Ner Yisrael, R' Mattisyahu Soloman, Mashgiach of Beis Medrash Govaha of Lakewood, and R' Aaron Schechter, Rosh Yeshiva R' Chaim Berlin. This clip shows R' Aaron Schechter responding to a question about the reconciliation of Torah and science in general, and the ban on R' Nosson Slifkin specifically. I was never into the whole Slifkin fiasco. I don't get it, and I don't see the point of his holy war, not on his part and not on the part of his Rabbinic opponents. If a bunch of so-called intellectuals want to believe in some sort of Torah-Science hybrid, then so be it. More power to them. Leave them be. There's no great threat to the existence of old world pure Torah belief. Most people do not have the intellectual capacity of reading his books and having them change their minds. Even if they tell you that they believe in evolution or hybrid Torah/Science chances are they're stam hakking a chynek. You'd be better off not looking like an angry man who seemingly is not well-versed in the subject so he tells people that these are נסתרות that are best to be left alone. Even ignorant people like myself can see that. Then again, being that Teaneck has a reputation of being somewhat of a more intelligent city, one where many or most inhabitants are college graduates that have some background in Science, I would think that the approach that "you need not know, leave it to us, we know what's best for you" wouldn't really go far in convincing these folks that Slifkin is treyf. So what exactly was accomplished there by the two?! In di chassidishe velt today there are very few Rebbes that remember di alte heim. Most of the leaders today are either not in full commission or of the next generation. Or never really saw the Chassidim of old. There are still some older chassidim left who remember, thought their numbers dwindle daily. Those that do would remember that one very bright star shone for a very short while, it's light extinguished - albeit self extinguished - by the Holocaust and the events immediately thereafter. Lots of tall tales are told about this star, and many still shed a tear today when they mention his name. They tremble with Yiras HaKoved when speaking of his greatness, and cry for what could've been 70 years later. They wonder how such a shining star could willingly remove himself from the Rebbishe "galaxy" just as the world was in such desperate need of pre-war Rebbes to build and encourage. The star we talk about was none other than the last Rov of Munkacs, Rav Boruch Yehoshua Yerachmiel Rabinovitch, zt"l.
Engaged to the only daughter of the Minchas Elozor - אן אויסגעבעטענע קינד - as they say, he soon learned that his new surroundings were not what he was used. Sort of like Reb Nochum Yitzchok, HY"D of Rava Ruska. He was betrothed to the daughter of a great Chassidic Rebbe at a very young age - before he became a man - and didn't know what he was getting into until it was too late. We spoke at some length a while back about an incident in Reb Burechel's life and how seemingly his relationship with his in-laws was strained somewhat. 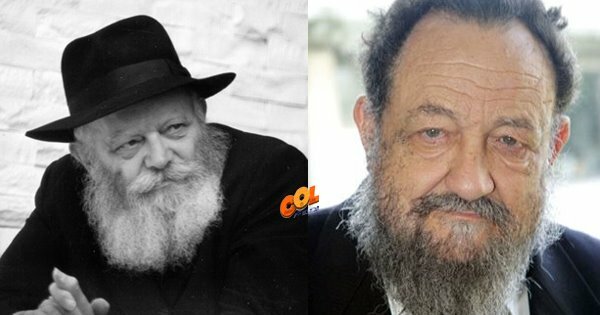 There was a lengthy article in the Israeli Sha'ah Tovah magazine a few weeks back (which we will hopefully bring here) with a son of Reb Burech from his infamous second marriage, one Yair Rabinovitch, a half brother to the Dinover and Munkatcher Rebbes, where he goes into great detail into why his father left all the glory behind and remained a reclusive little-known Rov for the rest of his life. A Rov who was somewhat ignored by his own children and forgotten by the next generation. As a child we knew that the current Munkatcher - may he live and be well - was a grandson and that was it. It sounded like somehow it skipped a generation; like a grandson inheriting his grandfather's red hair without the kid's father being red. Then, as we matured, we learned that there was actually a father who was still alive (!) but he wasn't worthy of being Munkatcher Rebbe, for some strange reason. Then we learned that he became a Tziyoni, so we understood why he wasn't the Munkatcher Rebbe. Then, when the wedding album - ראש שמחתי they called it - was released with all the pictures of the wedding and of the ME we wondered how it could all go so terribly wrong. Then, when we saw him - through pictures - as the Rov and Rosh Yeshivah in Munkacs, and the glory and honor and respect that he had, the questions only became stronger, and the reasons of his departure more difficult to understand. 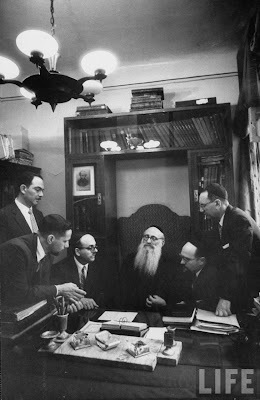 Sao Paulo, Petach Tikvah, Cholon; these were all positions that he held in the Rabbinate, but none of them can compare to the glory that was once Munkacs, glory that he willingly left behind. The reasons are many, and we aim to explore them on the virtual pages of this blog in the very near future, with G-d's help and with your learned input. I hesitate to bring this page as proof of anything, being that there are stories in this book that I very much doubt, but hey! why not? It suits me, so I might as well... Zalman Levin, son of Reb Avrohom Dov HaCohen Levin, tells how his father hired a melamed - a Litvak - for him so that he could get some extra learning in. Young Zalman had a strong desire to learn Tanya and he asked the melamed to learn with him. (I'm not sure why he would ask the Litvak melamed and not his father, after all, his mekushorim would tell you that he was the greatest authority on chassidus since the Tzemach Tzedek, and even the MahaRash was not enough of a Tzaddik for him, but so goes the story) The melamed said that "Tanya is Kabboloh, and we don't teach Kabboloh to young children," or even older children, for that matter. Again, we can wonder what young Zalman was thinking; that the Litvak would learn Tanya with a young child? 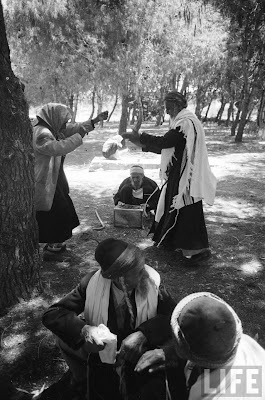 Besides, I thought only dor hashvi'i Lubavitch got crazy and started learning chassidus with young kids, no? 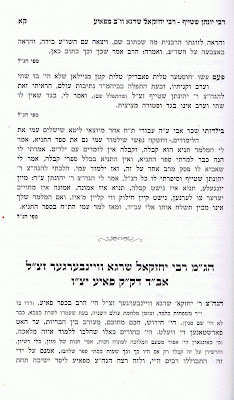 The story - as supposedly told by young Zalman - continues: So I went to Rav Yonason Steif, zt"l, and told what happened, that the melamed says it's Kabboloh and he won't teach it to young children. So he answered "my son, Tanya is NOT Kabboloh, Tanya is EMUNAH, and it's never too early to teach young children abut belief in Hashem and all that he does. If the melamed doesn't understand it send him to me and I'll explain it to him. From then on the melamed would learn Tanya with me too. The story is wonderful, and really suits me, but being that there are lots of stories that are told in his name that NEVER could have happened, being that the times don't shtim, I foresee a problem with this one too. IIRC Rav Yonasan Steif arrived on these shores in 1946, soon after the Holocaust. Gershon Tannenbaum's article tells us that he was the last RB"D of Budapest. I thought he arrived in 1938, I must've confused him with the Tzaylemer and Mattersdorfer Rabbonim. Zalman's father died on Shavuous of 1938, and Zalman was already a young man then, probably in his 30s. So when and where did this story happen? He was in Budapest as a child? s'leigt zich nit affen seychel bichlal! When sitting here and trying to figure out how the compiler of this story book could have made such a grobben to'us, I realized that it's like the kashe "vee azouy hut noach gekent boyen di teyveh ven er iz geven blind," so too here. 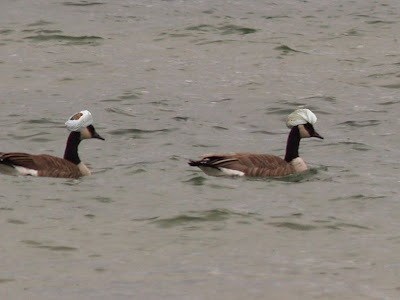 For those of you who remember, the answer to that kashe is : Noach iz gornit geven blind! The story was not told by ZL, I confused it with other stories in the book that were told by him. It was told by another Rov, one who remains a mystery to me until one of my good friends will get a hold of the book and look for the mesaper haMayseh themselves. אויבIt does seem like a "malach," since he said that he davened in Nesivos Oylem, the last bastion of "old Chabad".......... אזוי the story can be 100% accurate, and we Hungarians - at least those identify with RYS and the Budapest/Adas Yereim approach to life - need to start learning Tanya with out young children forthwith! Otherwise they could have serious deficiencies in their Emunah and be of questionable Jewish character, something that would easily affect their status regarding acceptance to yeshivos, and - gasp! - shidduchim! A delegation of Rabbis and askonim visited Sholom Rubashkin in jail on Tuesday. We're all tired of arguing the points of the case and whether or not what he did was wrong, and whether or not he deserves to shvitz in jail while others enjoy their $10Mil penthouses. Every once in a while many of us ask ourselves "what's going on with Rubashkin?" and a "nebach," "tsk, tsk" may escape our lips. We may not even remember until VIN reports some update about his case. Yet people like Reb Chaim Dovid Zwiebel did remember Sholom and shlepped down to Dubuque and Des Moines to plead his case and to "do" in Pidyon Shvuyim. I know Rabbi Lerner and others are involved too, but we never did get on their cases to begin with. Hence the focus on CDZ. I do not know if he went as an independent lawyer or as an official representative of the AI, but he used his connections and clout to get down there and plead. That's more than any of us have done, and more than many of his friends and co-Chassidim have done. May Hashem bless him for that. "אם ננעלו דלתי נדיבים דלתי מרום לא ננעלו"
Schneur's amusing comments about the shock on the faces of those who were taught to despise Rav Kook, when they come to the library and actually see his picture, complete with the Spodik, untrimmed beard and peyos, amused me. We can differentiate between the two more zealous factions in Yiddishkeit today, the Yeshivishe and the Hungarians. (the Israeli so-called "perushim" as far as this conversation is concerned are an enigma and will be not be included in this discussion.) The Hungarians have a hard time seeing anybody with yiddishe simonim as not good; they immediately assume that someone they call an "Apikores" looked like a goy. Recently - among the Satmorim at least - they've taken that to a new level, where even Rebbes with peyos to the floor and veise bekitshes can be called "kofrim" wholesale, but when push comes to shove, when you confront them, they'll admit that s'iz nisht mamesh azoi. They'll have a hard time telling you that they wouldn't eat in a Gerrer Chossid's house - or Rav Elyashiv's for that matter - because he votes in the Israeli elections or worked for the rabbanut. .......רקוד מצוה" - 70 שנה אחרי"
Then take these two pictures here and tell me what you think. Here we have two of the purest creations - Teimene Yidden with the original levush still intact, "antenna" and all. A Satmarer would salivate at the sight - maybe I would too. These folks managed not to be coerced into dropping their yiddishkeit in Israel, despite what the Tziyonim tried to do to them. I guess the Tziyonim were happy that they took their kids, or maybe these people made aliya pre-State days. 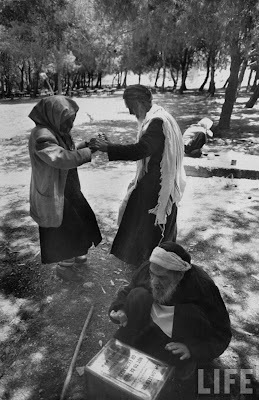 Anyway, it seems like these pure and holy people had no problem dancing together in public, with a strange man banging on the oil can/drum taking it all in! Is THIS what they did for 2,000 years in the deserts of Yemen while we thought they were as pure as the wind-driven snow just because they had Simonim?! 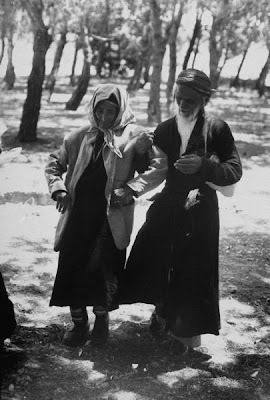 Can you imagine a Yerushalayimer Yid dancing with his wife like that in public while other strange men supplied the musical accompaniment? Of course you can't, so why do they get away with it just because they say Ivri funny and didn't accept the cherem deRabeinu Gershom?! "ניטא היינט קיין פלייש, מיין ליבער פרוי"
I was quite taken aback by Reb UD's words, commenting on Circus Tent א ציג מיט זיבן ציגאלאך that Soviet children had it as good as no other children living elsewhere in free societies, "The happiest Children on Earth," as he so eloquently put it. He accused me of being ignorant about the Soviet Union, me being "born in the back seat of a Lexus," and that the infamous bread lines only started in the 80's. DeHaynu, that for 60 plus years all was well in the Soviet Union, save for the executions and the gulags, I guess. And after 30 years they figured out how to feed all those people, until something happened in the 80s. nu, nu. You guys always accuse me of suffering from Stockholm Syndrome, as if I was a prisoner in a society I was "kidnapped" to and learned to like my "captors" since I had no choice and could not leave. Beside for the fact that most of you wouldn't recognize Stockholm Syndrome if it smacked you in the face; why would you even say something like that when it could be so easily said about every frum man and woman, that they too want to join society but are imprisoned by their beliefs and by society?! Sure, you'll SAY that you either can leave if you so wish, or have no desire to, but maybe you too are suffering from the dreaded disease? So, is it safe to assume that Mr. UD is the poster child for the dreaded syndrome, since he so yearns for his childhood in the CCCP? Or is it the natural nostalgia that people have for their homeland no matter where they come from? We can infer from his words that he didn't have it so hard there, and I would also think that he grew up at the time when things began to change, so his basic needs may have been taken care of. Hence, all was well for khaver UD in the Red Heaven. Then again, maybe we were lied by both the American and Lubavitch propaganda machine who had it in their best interest to defame the great USSR so that they not look so bad. Maybe all those JEP tapes crying for Nikolai who was stuck in Russia were just marketing ploys that were used to collect money for Russian Jews that really didn't need it. Maybe all those Olomeinu articles that chronicled the hardships of the רושיסע אידן were nothing but fairy tales. Maybe Shlomo Carlebach and his crying for Russian Jewry behind the Iron Curtain was nothing but a show by a Lubavitch-trained entertainer who could spin a tall tale like nobody's business. Stranger things have happened, my friends, I've learned lots of new ideas, such as me not being part of Judaism. Sucas as despite numerous people recounting stories they heard from RYBS about the Rebbe in Berlin they only passed each other on the street, sort of like me and my Chinese neighbors down the block. So maybe this is one more step in the re-education of Hirshel Tzig, the Tsap who still has lots to learn. Maybe we'll see the idea of בא ללמד ונמצא למד, come to life here compliments of UD and the others here who see things so differently than I do. 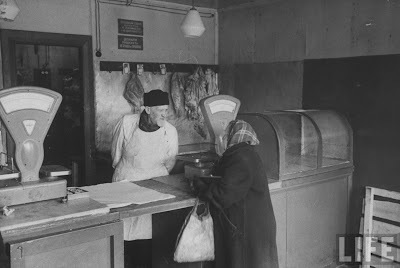 After all, we have photographic evidence compliments of LIFE magazine that Jews could learn, daven and even buy Kosher meat if they so pleased! Forget about Stockholm Syndrome, I'm just confused now. How silly of those Lubavitchers and Novardokers and Breslovers to want to leave Russia at any cost, if only they would've known what we know now they would never have left the Motherland and come to the abyss we know as these United States! In Russia they would live Baalebatish, like the book we showed says. Ok, I'll stop repeating myself now. I need a beer, and I have just what I need in the fridge. A Blue Moon bottle, Wheat Ale, with an OU to boot. I know it can't compare to Soviet Beer, but that's all I got for now. So we continue trying to pick the brain of the editorial board of Der Yid, trying to understand why the lecture to all those who dare to disagree with their shitah is necessary at that terrible time, when every other group understands that it was a time of only mourning - despite possible differences in Hashkofoh and opinion. Yidden Maaminim Bnai Maaminim believe that even a simple accident is not something that just happens, but an accident, being that it seems natural, doesn't shock the people. This situation, however, was differnt since it was a planned attack on the Beis Chabad in Mumbai. (At least Beis Chabad doesn't get the usual " " that most others get...) The attack also was not so as to achieve some sort of political or religious gain, the attackers were not asking for anything in return for the release of the hostages, all they wanted to do - according to the sole surviving terrorist, whose words are as good as gold - was to kill Jews in retaliation for the actions of the heretical regime in Eretz Yisrael. The Zionists have sown seeds of hate in the Muslim Ummah through their actions, DY says. 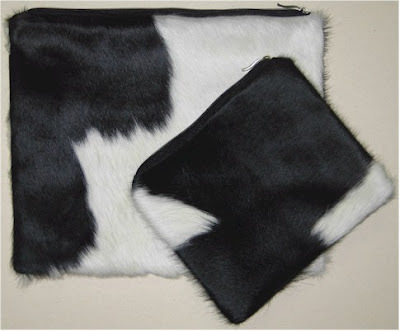 I guess this is a masiach leFi Tumoy case where we're mekabel his eydus? They wouldn't believe the Tziyonim when they state their reasons for carrying out missions, so why believe a terrorist goy? But they thought of everything at Der Yid, and they cover their tracks by saying that they don't need the edus of the Terrorist, the Israeli Government said that it was an attack against Israel. I guess we do believe the Zionists when it suits us. The silly "logic" that we need to subjugate ourselves to the goyim in all matters pertaining to Israel - but do what we want in Williamsburg and Kiryas Joel - really gets old after a while, especially when the hypocrisy is as clear as can be. Harav HaRoshi Yitzchok Issac Hertzog, z"l.
The article goes on and discusses the fact that Reb Leibish Teitelbaum, HYD, was forced to be transported in a coffin draped with the Israeli flag, an offense in and of itself since it was כנגד רצון המת, I choose not to discuss that now. But again the twisted logic of DY rears its head. They ask for that respect since די מדינה האט גורם געווען די אומגליק, with very little blame - or possibly none whatsoever - being placed on the heads of the Terrorists, it's all the Tziyonim's fault, Muslims can't help but kill Jews since the Zionists MAKE them hate and maim. Nothing about עשו שונא ליעקב, or similar מאמרי חז"ל, maybe they're מדייק דוקא עשו and not ישמעאל.... What also gets me here is despite Satmar's reputation as a Malchus shel chesed there's no concern for the Yesomim here, neither Satmar, Bobov, Lubavitch or Litvish. I'm sure they'll come up with nice sums of money for the family, despite the Volover Rov and his mechutan the TAY Rebbe siding with the other side in the Satmar dispute, but they don't seem to have that in mind soon after the tragedy, they have bigger fish to fry - ultra religious parties and Tziyonim! We need to get our jabs in even now and never let our children - even for a tragic moment - think that these Jews are to be respected. Hit that horse even and especially when he's down. That'll get the zealous point across! Yet, despite the fact that we have all kinds of fair game here, editors at DY seem to save their best for Lubavitch - everybody's favorite whipping boy, the group that nobody would stand up for. Only a lifeless soul would find the need to aimlessly attack a man in his time of grief. Only a man who has nothing to live for and nobody to love would be so heartless, yet there are those of you who defend this attack, all in G-d's name, of course. You too need to do some serious soul-searching if you see can't see how vicious these words must be to the families. To prepare the ground they belittle accomplishments -typical of attackers - of the Beis Chabad. To deflect the inevitable question of why would a rebbishe kind like RLT be in a Beis Chabad they make it as if he was just passing by, like you would duck into a doorway to get out of a sudden rain shower. All that for what? so that they can bemoan that they had Government officials at the levaya, and that the hespedim were in do toomene shprach?! We have yet to discuss the main issue we have with the editorial, the problem they have with the "Real Goal" of the Beis Chabad.... When we discuss it - in part II, iy"h - we'll do a word by word dissection of the text and see how we understand it.